Twin islands offering two sides of a country and its people; each giving visitors something special – bustling city entertainment and quiet country living. The twin island republic of the Caribbean, with its diverse population and tantalizing cuisine, has much to offer visitors. The ethnic mix on these two English-speaking Caribbean islands has resulted in an eclectic blend of features and cultures. 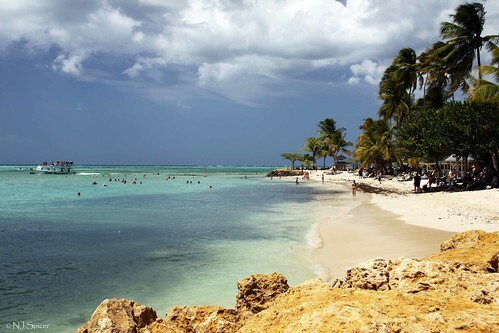 Tiny Tobago offers a laid-back time more in keeping with the image that most people have of Caribbean life. Trinidad, on the other hand, is a striving cosmopolitan island prospering from its oil and industrial development. Scarborough, the capital of Tobago, is awash in history. Today, tourists can look down on this tiny town from the heights of Fort King George. Carnival is as much a part of the allure of Trinidad as the beautiful tropical backdrop framed by the Caribbean Sea. The Carnival festivities break down racial and other barriers, as everyone, rich and poor, old and young, jumps up and down and rocks to the music of steel bands, calypso, and soca music during the two-day high-energy bacchanal. Nature lovers will want to visit the western world’s oldest protected rain forest, which is located in Tobago. Trinidad has a bustling nightlife, with clubs such as Trotters, the Base, and Casa Musica. Live music is very popular in the region, and tourists and locals alike can be seen sipping drinks as they rock the night away. do you know Trinidad and Tobago well?